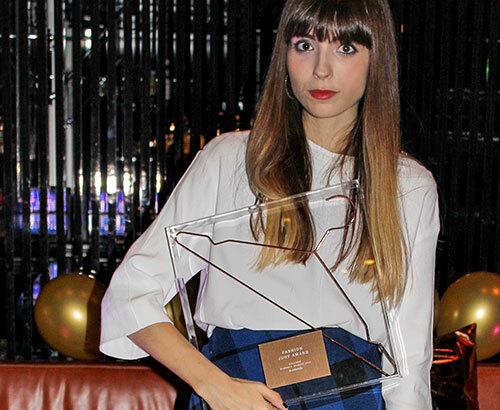 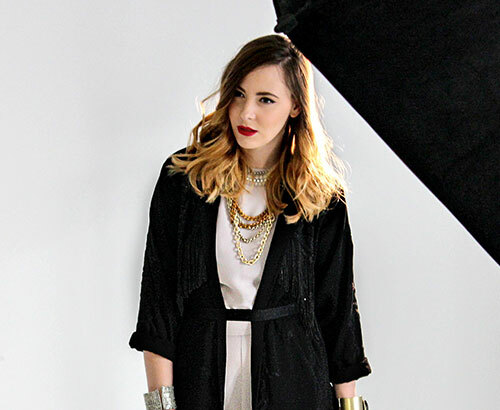 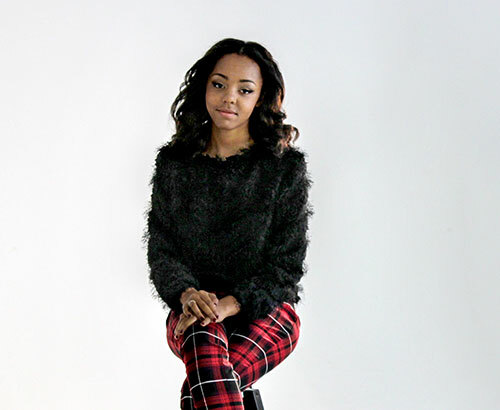 Zalando Blogger Awards 2014 - The Results! 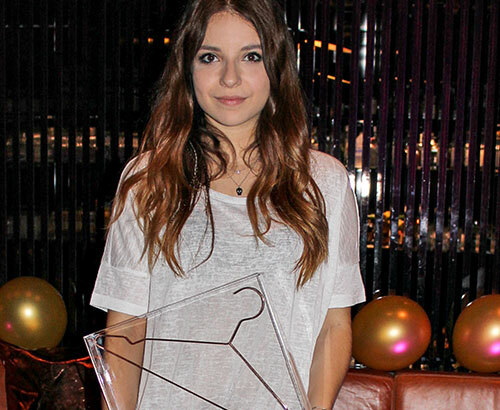 Last Thursday evening, October 30th, the Zalando Blogger Awards ceremony and dinner were held in Berlin. 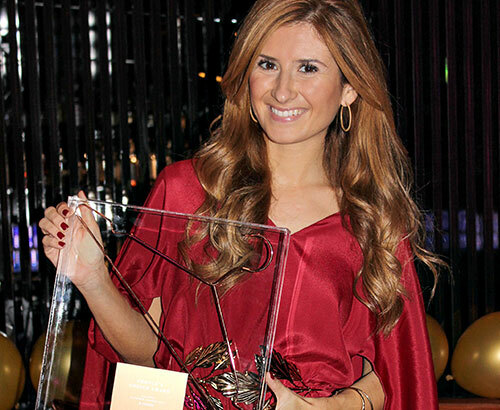 During the ceremony prizes were presented to the winners from two categories: The People’s Choice and Fashion Jury Awards. 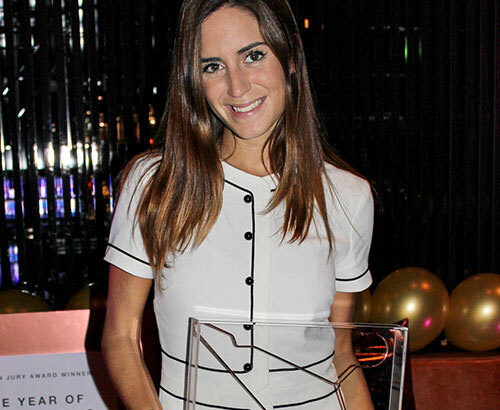 The glamourous winners, accompanied by their guests, were joined by the winners from France and Spain. 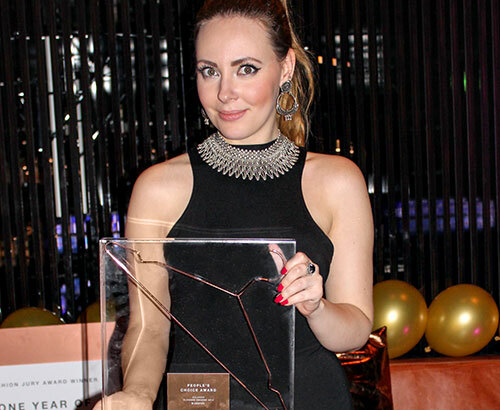 On Thursday, October 30th, during a cozy dinner in Berlin at Mani restaurant, the bloggers from the UK, accompanied by their friends, received their prizes along with the winners from France and Spain. 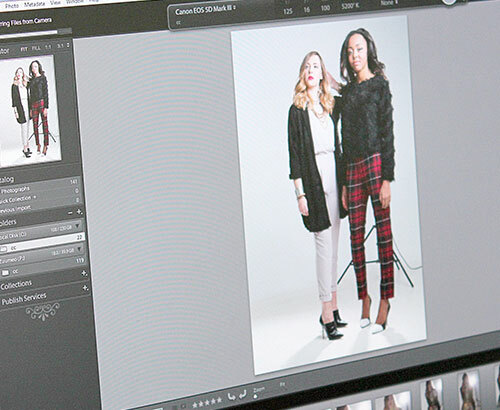 Each winner received a year of shopping on Zalando voucher to the value of £2000 as well as the chance to participate in a special photo shoot in Berlin. 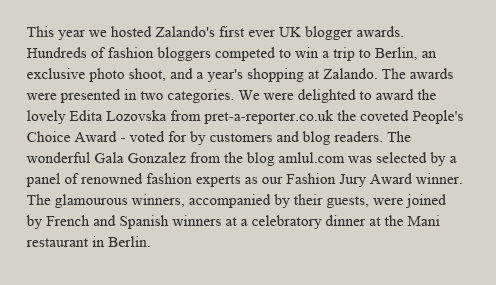 Zalando congratulates and commends our two very deserving winners, Gala and Edita, as well as Rebeca, Anna, Noémi and Adenorah for their beautiful winning French and Spanish blogs. 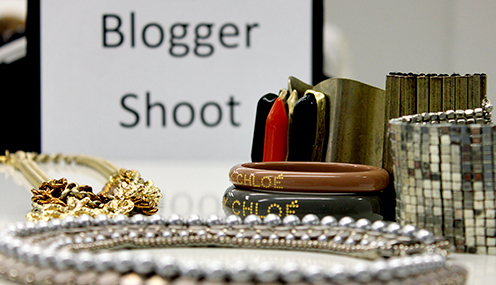 We also want to say big thank you to all those who participated and voted to make the Zalando Blogger Awards 2014 such a success.